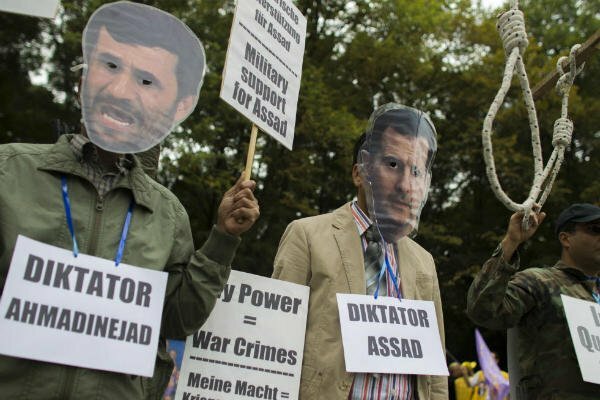 PROTESTERS NEAR THE US EMBASSY IN BERLIN WEAR MASKS OF IRANIAN PRESIDENT MAHMOUD AHMADINEJAD (L.) AND SYRIAN PRESIDENT BASHAR AL-ASSAD DURING AN AUG. 16 PROTEST DENOUNCING IRAN'S SUPPORT FOR ASSAD'S REGIME. 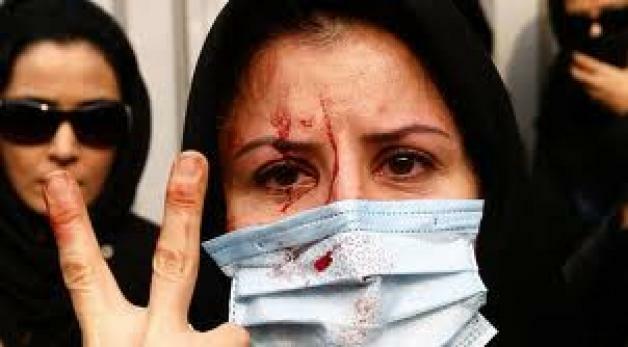 PAYING THE PRICE FOR FREEDOM- AN IRANIAN WOMEN IN RALLY FOR DEMOCRACY IN IRAN. A PROTESTER GESTURES DURING A DEMONSTRATION 0N TEHRAN-IRAN. TOGETHER, WE CAN SECURE THE LIBERTY. 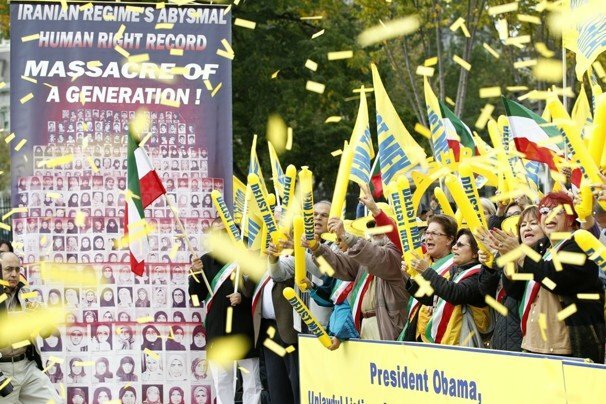 The Iranian regime has emerged as the leading per capita execution of its own citizens in the world today, surpassing China. 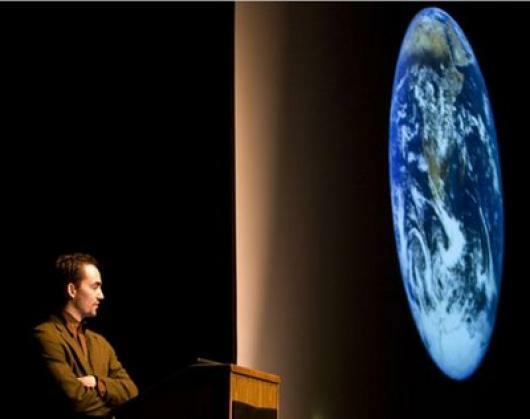 One person is hanged every seven hours. During Hassan Rouhani’s tenure as President, at least 2,700 have been executed, including dozens of women, minors, dissidents, and ethnic and religious minorities, including Christians, Baha’is, Sunnis, Shiites, Kurds, Baluchis and Arabs. 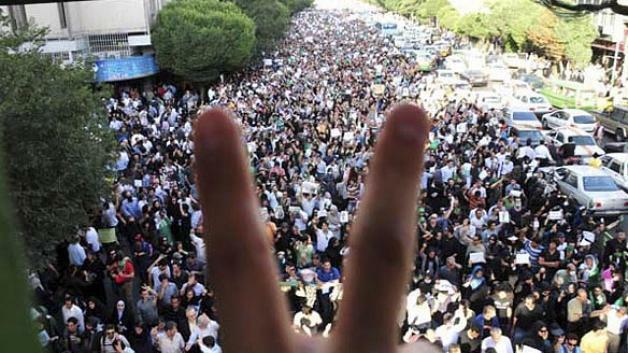 The United Nations has repeatedly condemned the flagrant violations of human rights in Iran. On December 19, 2016, the UN General Assembly adopted its 63rd resolution, condemning human rights violations in Iran. 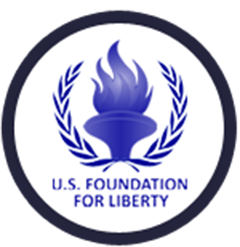 As a not-for-profit non-governmental organization, the U.S. Foundation for Liberty has set out to support groups, individuals, and programs that both in their platform and through their actions credibly demonstrate the intention to attain human rights in Iran. A democratic, non-nuclear Iran is not only good for the Iranian people, but it is good for the region and the entire world. Think about it: Iran is closer to many of our regional allies than Boston is to Washington, DC. The Iranian regime violates the human rights of people in neighboring Iraq and other countries of the region as well. It is estimated that in Iraq alone, some 70 percent of the American soldiers who were lost, were killed by those funded or armed by the Iranian regime. But the solution to the Iranian regime’s menace is not military intervention and more bloodshed. There is an alternative approach. We believe that the people of Iran, with their inherent strengths and democratic aspirations can bring about change with the right amount of moral support. Therefore, the Foundation seeks engagement and assistance from concerned citizens, civil leaders, and entrepreneurs to assist the Iranian people in realizing their inherent human rights. This goal is complimentary of the national interest of the United States and to the greater extent it is achieved will contribute an equal measure to the national security of the United States. The idea of a democratic non-nuclear Iran, and thus, a safer and more secure America is not just a dream. Together we can reach this goal, but we need your help today. We cannot do it without YOU. Having successfully worked to ensure the safe transfer of thousands of Iranian refugees in Iraq to Europe, one of USFL major projects now is to ensure that these refugees, who suffer from an assortment of acute psychological and physical ailments to recover as quickly as possible and contribute constructively to the environments around them. Some of them suffer from serious illnesses, others with major disabilities. A number of them have unfortunately passed away since arriving in Europe and Albania So, providing them with medical assistance and treatment is critical. Fund research studies and the publication of reports highlighting the dangers posed by the Iranian regime, and the opportunities existing within the Iranian society. Donate your stocks, and/or other investments to USFL.